We’ve all heard of a little “spring cleaning” but why wait for the snow to melt to start cleaning out your closet? Use the time now while it is still cold outside, to declutter your wardrobe. Start by going through every piece of clothing you own. Physically take it off the hanger or unfold it from a drawer and take a good look at it. Do you still love this article of clothing? When was the last time you wore it? Can you think of an outfit you can wear it with? If this item doesn’t spark any sort of happiness within you, you know it is one that you can put aside in the donate pile. That’s right – by going through every single item you own and either put in the keep or donate pile, you will be able to physically see the amount of positive change and progress you are making. We all make the mistake of buying something at a store and then never ending up wearing it – now is your time to finally give it away! So now you have your two piles and it may look like a disaster on your bedroom floor. Start decluttering by folding and putting away all your donation items into a trash bag and immediately place it in your car, on the passengers seat – this way you don’t procrastinate and put off bringing it to your nearest donation center. Now it is time to focus on the keep pile! Figure out the best way to maximize space and efficiency in your closet. There may not be enough room to hang up every single item you own so it is important to delegate what will be hung up and what will be folded in drawers. Usually, it is easiest to fold up pants and t-shirts to keep in a drawer and hang up dresses and dress shirts. 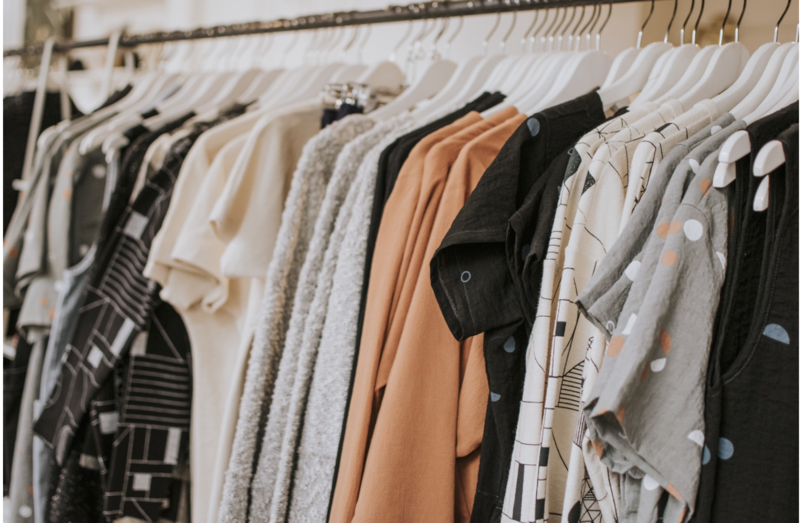 If you are looking for tips on how to fold, check out Marie Kondo’s Netflix show Tidying Up or YouTube her folding methods for an efficient and space-saving closet game changer! Ta-Da! You did it. Getting rid of clothes and clutter in your closet can feel like a weight lifted off your shoulders. Being able to see everything that you own and not have to sort through items that you haven’t even considered wearing in a long time can make for an easier time come morning when getting dressed for work or playing with different outfits you may have forgotten you had!